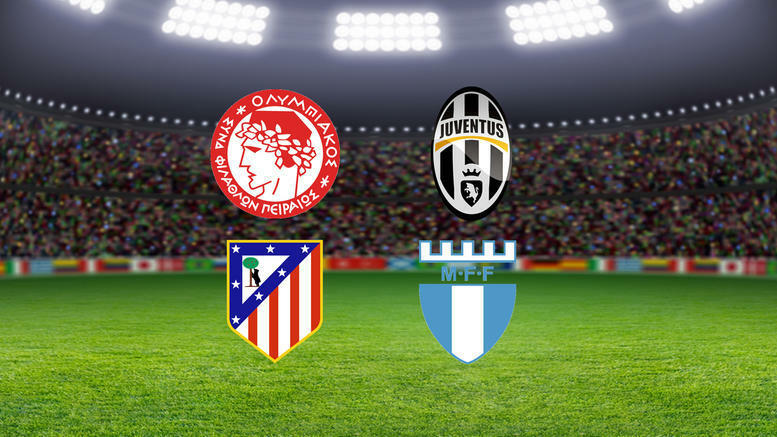 Spanish side Atletico Madrid host Olympiakos on Wednesday evening in what is a crucial game. Atletico Madrid are three points clear at the top of Group A with Juventus and today’s opponents Olympiakos just three points behind the Spanish side. Thus meaning that a victory today is very important for both teams as they look to secure qualification to the knockout stages. As always Bet365 are allowing you to bet in-play on this event, so why not sign up with the best bookmaker in the United Kingdom today! Atletico Madrid come into this form in very good form, they’ve now won 9 of their last 11 matches in all competitions including a 3-1 victory over Malaga on Saturday. The three points moved Atletico Madrid to just two points behind Barcelona and four points off the league leaders Real Madrid. In the group stages so far the Spanish side have won three of their four matches, that includes a superb victory over Juventus. On the other hand Olympiakos’s results have been poor as of late, they’ve won just one of their last four matches and that includes an entertaining 3-2 loss against Juventus in Italy however they have scored in six of their last seven matches. Koke – The 22 year old Spaniard has played every minute of every match for Atletico Madrid this season and he already has 15 caps for Spain, a big move is on the horizon in my opinion. Koke has had a superb start to this season, he’s scored three goals and two of those have come in the Champions League. Not only does he score, he creates goals, Koke has assisted an incredible 12 goals this season and one of those came against Malaga on Saturday. Consistency is key among the best players in the world and Koke has been incredibly consistent this season. Kostas Mitroglou – After making a big money move to Fulham last season he has moved back to Olympiakos on loan and he’s been a success once again. This season’s he has scored four goals despite only starting five matches in the league, he’s also got a great record in the Champions League scoring ten goals over the last five seasons. If Olympiakos are going to win this game, which realistically they need to do, Mitroglou is going to need to have a superb game up front. I wouldn’t be put off backing Mitroglou to score on Wednesday evening, he’ll certainly have chances. Both teams to score in this match at odds of 2.25 is a very generous price in my opinion. These two met in September and it was a goalfest, Olympiakos won that match 3-2 and there could’ve been more goals. Atletico Madrid have scored 20 goals already this season and Olympiakos have scored on 19 occasions. Both sides are full of goals, especially Olympiakos in this Champions League campaign, they’ve scored six goals and have conceded seven!